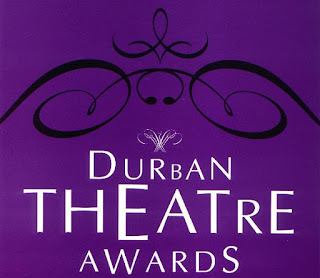 At a recent meeting of the management committee of Durban Theatre Awards (DTA) the decision was taken to discontinue the awards system which has recognised and celebrated excellence in the local theatre industry for the past 15 years, culminating in 14 awards events. DTA came about subsequent to the discontinuation of FNB Vita Theatre Awards. Following a hiatus of approximately 18 months once FNB Vita ceased operations, the first DTA awards evening was held at The Elizabeth Sneddon Theatre, Howard College, The University of KwaZulu-Natal on Monday December 15, 2003. The judging panel of FNB Vita had continued viewing work in the hope that a local awards system would eventuate. This panel operated then, and throughout the life of DTA, on a voluntary basis. Durban Theatre Awards operated on an almost nil budget and the annual awards evenings came about primarily due to the generosity of several sponsors. The Elizabeth Sneddon Theatre sponsored the theatre as the awards evening venue each year for 14 years. Initial sponsorships for the awards came from La Lucia Mall, Jennet Brown of Essenwood Craft Market, and the Bartel Arts Trust. Subsequently, the Bartel Arts Trust became the principal funder of DTA, supporting the awards for 12 years. A relationship was forged with The Mercury very early in the life of DTA which culminated in the newspaper becoming the media sponsor and gaining naming rights of the awards. Latterly, support was received from the KwaZulu-Natal Performing Arts Trust. The awards eventually recognised work in four genres: drama/comedy, musical theatre, music revue/cabaret, and children’s theatre. The award categories recognised the creative aspects of theatre and the performance aspects of theatre. From the beginning of the DTA system a Judges Award was instituted which recognised those people who had made a particularly significant contribution to the industry throughout their careers and so was a de facto lifetime achievement award, though advanced age was not a prerequisite of this award. Later, in memory of arts journalist, musician and radio presenter, Monica Fairall, and with funds provided by her husband, Robert Morrell, The Monica Fairall Memorial Award recognised the contribution of those working in the industry who would not normally be eligible for an award as per the usual categories. This award allowed for people such as arts administrators, publicist and technicians to be recognised. Initially the awards only considered work specifically for adult audiences. Very quickly the genre of Children’s Theatre was added to include work made specifically for young audiences, a very discerning and honest audience, and our future paying audiences. The number of categories was also expanded over time to recognise aspects of creativity and performance which are perhaps not usually recognised by awards systems but which, nevertheless, are essential to the industry. From the time DTA was instituted until perhaps three years ago, the number of productions considered each year rose to a peak of approximately 40 productions, a very considerable number of new productions produced annually by Durban production companies. This was indicative of the creativity of the local industry (only locally generated work was considered for the awards). However, the enthusiasm of the city’s creatives and performers has not been matched by supportive audiences. In recent years the lack of support has resulted in a dramatic drop of new productions being produced. In addition to this, a lack of support for the awards by the total industry and considerable negative criticism without accompanying offers of constructive engagement, accusations of racism and unsatisfactory demographic representation both in terms of the panel and the resulting recipients of awards, criticism of adequate expertise among the panel without suggestions of appropriate personnel, and that some production companies and directors choose to not have their work considered resulting in a pool of productions too small to justify having awards have all contributed to the management committee decision that Durban Theatre Awards be discontinued with immediate effect. The management committee wishes to place on record its gratitude to all sponsors, funders, producers, designers, writers, directors, choreographers, actors, musicians, technicians, publicists, administrators, whose contribution over the years, in whatever way, has made the awards possible. The committee also extends its most grateful thanks to the judging panel, some of whom have served the entire life of DTA, others who have joined the panel along the way. Without this panel the awards could not have operated. Each person has given of their time without compensation and has done so because they believe in the industry. The management committee wishes the industry well and leaves it with the hope that the industry will revive to once more be an exciting and vibrant industry, that audiences will support the work of its creative people and performing artists, and that in the near future another system will rise that will recognise, honour and celebrate excellence in the industry. These have been an exciting 15 years. May there be many more such years.